Bauer “Exclusive” Nexus Havok Jr Hockey Skate | Sports Etc. 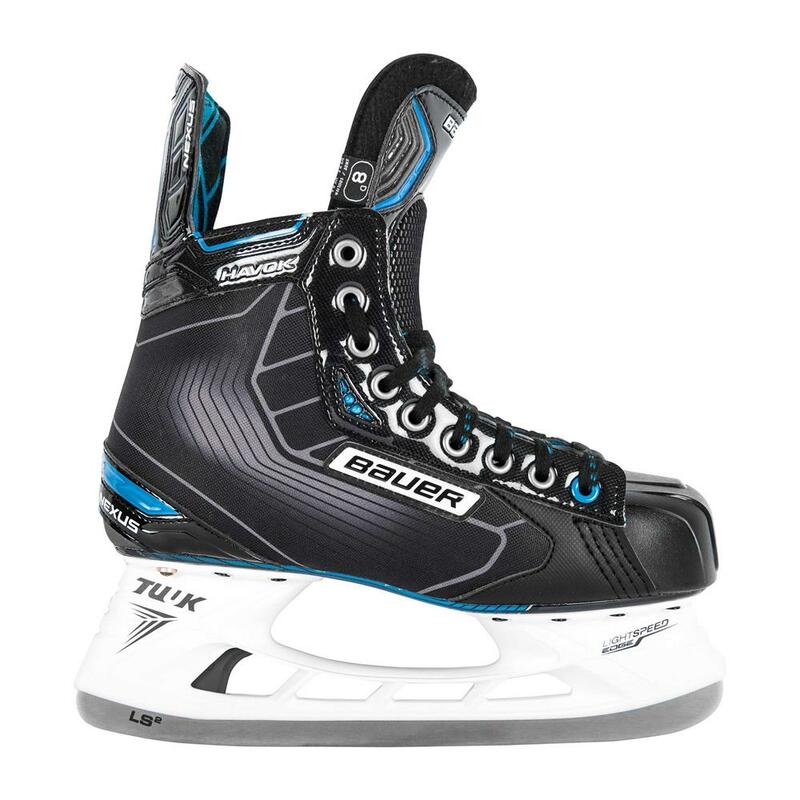 Our hockey experts have created the Source Exclusive Bauer Nexus Havok hockey skates by enhancing the Bauer N7000 skates with specific features of the N9000 skate and more. An improved tongue from the N9000, as well as LS2 steel and an enhanced composite outsole will improve the feel and durability of this skate. Nexus Havok skates from Bauer are based on the Bauer N7000 skates with upgrades from the Bauer N9000 skates. Available exclusively at Sports Etc. Sports Etc Performance To Value Rating– 9 out of 10- A great value for a performance level skater that requires a higher volume fit and a greater level of flexibility.